A BAG OF MARBLES, courtesy of Gaumont. This year, the Miami Jewish Film Festival (MJFF) celebrates its 21st year, bringing 62 films from 20 countries, and hosting 50 filmmakers and special guests. 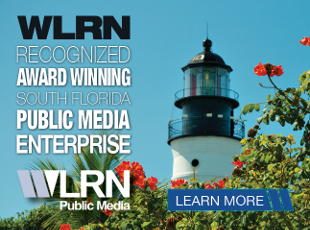 MJFF is, according to its producers, the largest Jewish cultural event in Florida and one of the three largest Jewish film festivals in the world. The festival runs at various venues from Jan. 11 to 25. Shyteyrenberg stated that, it has been in the last four years, where the Miami Jewish Film Festival has grown from a small local event to one of the top Jewish film festivals in the world. "It has become a world-class destination event known for showcasing the best in cinema and for its commitment to educate, build community, and stimulate discussion and thought. This year’s program has something for everyone, from star-studded films to noteworthy foreign dramas. We welcome you to explore and discover the best of international cinema at our 21st annual edition,” said Miami Jewish Film Festival Chair Gary Yarus. A PROMINENT PATIENT, courtesy of InFilm. Music features prominently as a theme at this year’s festival. The 21st annual Miami Jewish Film Festival will open with the premiere of "Itzhak," Alison Chernick’s documentary about world famous violinist Itzhak Perlman. Preceding the premiere will be a live performance of Itzhak Perlman’s most memorable music by the Amernet String Quartet, ensemble-in-residence at FIU. BOMBSHELL! 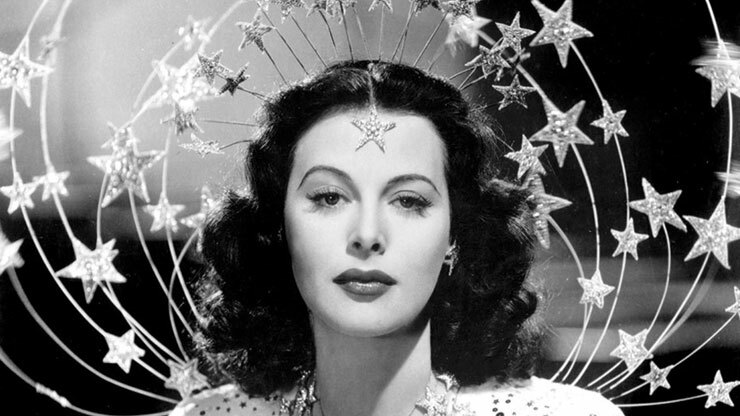 THE HEDY LAMARR STORY, courtesy of Zeitgeist Films. 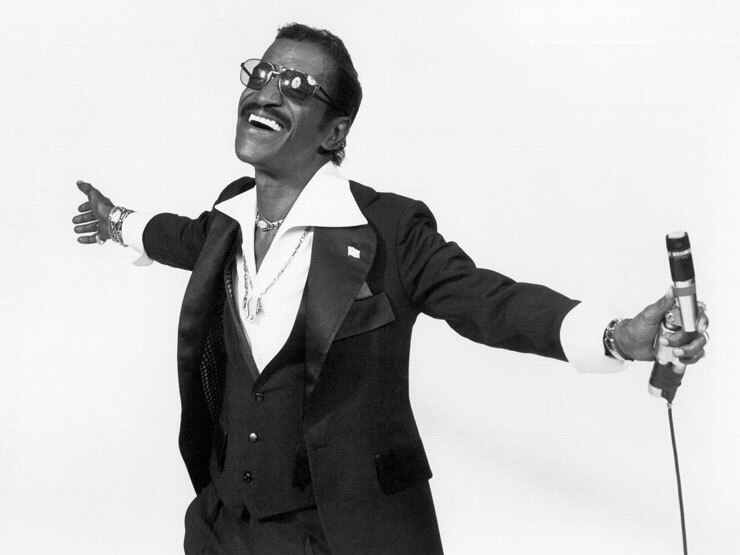 Closing night will feature the premiere of "Sammy Davis, Jr.: I’ve Gotta Be Me," the first major documentary about the legendary entertainer. Directed by Peabody Award-winning filmmaker Sam Pollard, the film focuses a spotlight on Davis’ personal life and career as he navigated the shifting tides of civil rights and racial progress during the 20th century. 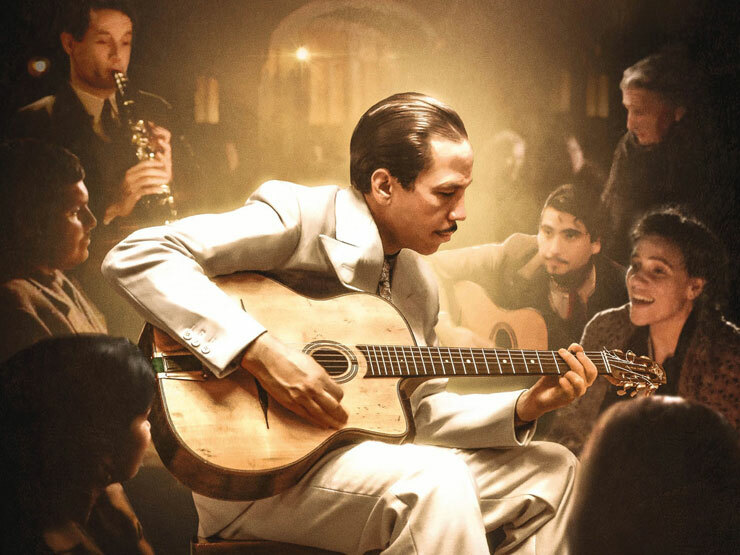 Other notable music themed films in the Festival include the Florida Premiere of "Django," a period drama about Jazz legend Django Reinhardt. Miami’s popular Jazz band The French Horn Collective will bring Django’s iconic Gypsy swing music to life with special live performances. Also featured will be the North American Premiere of "Good Deeds: The Conductor Zubin Mehta," a dazzling celebration of the legendary Israeli Philharmonic Orchestra conductor’s life, work, and belief that music heals and inspires. A highlight of the evening will be a live performance by the Alhambra Quartet and an introduction by world-renowned Conductor Daniel Andai. CRUISE, courtesy of Gunpowder & Sky. This year’s Festival will debut an After Hours Presentation of the classic animated feature, "Fantastic Planet," which will include a live score performed by Mystvries, a synthwave artist from Miami’s Bribery Corporation. 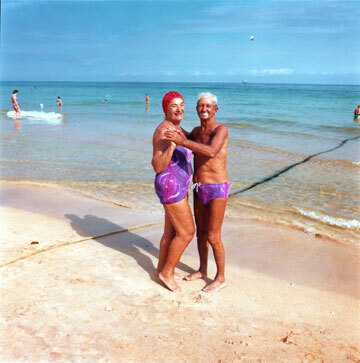 Three films will receive World Premieres at the 21st annual Miami Jewish Film Festival, including Dennis Scholl and Kareem Tabsch’s Miami Beach focused documentary, "The Last Resort," an uncannily revealing portrait of American photographer Andy Sweet, who captured the vibrant community of Jewish retirees who populated the sunburned paradise of 1970s Miami Beach. Also receiving its World Premiere is the harrowing documentary, "A Call to Remember," about Miami Holocaust survivor David Schaecter and his lifelong dedication to honor those who were lost. Following its World Premiere, there will be a panel discussion moderated by producer Dennis Scholl with film subject David Schaecter, producer Michael Berenbaum, and director Ken Winikur. DJANGO, courtesy of Under The Milky Way. Twelve films directed by women will premiere at the Festival this year, including the World Premiere of Lisa Ades’ "GI Jews: Jewish Americans in World War II," the first documentary to tell the profound and unique story of the 550,000 Jewish men and women who served in World War II; the North American Premieres of Silvia Quer’s powerful period drama "The Light of Hope" and Isabel Gathof’s documentary "Moritz Daniel Oppenheim: The First Jewish Painter"; the Florida Premieres of Judy Kreith and Robin Truesdale’s captivating documentary "Cuba’s Forgotten Jewels," which tells the little-known story of the Jewish refugees who escaped Nazi-occupied Europe and found a safe haven in Cuba; Alexandra Dean’s critically acclaimed documentary "Bombshell! The Hedy Lamarr Story"; and, Rachel Israel’s heartwarming love story, "Keep the Change," about the budding romance between a high-functioning autistic man and the woman he meets in a support group, which will launch the annual Jewish Disabilities Awareness and Inclusion Month in Greater Miami. The Festival will celebrate Israel’s 70th birthday with a specially curated "Israel at 70" program headlined by the premiere of Ben-Gurion, "Epilogue," winner of the Ophir Award (Israeli Oscars) for Best Documentary. This remarkable film is an invaluable historical document compiled from newly discovered conversations with Israel’s founding father and one of the most important statesmen of the 20th century. The premiere will feature the attendance of Alon Ben-Gurion, David Ben-Gurion’s grandson, who will participate in an extended conversation with the audience after the screening. FOXTROT, courtesy of Sony Pictures Classics. The Israel at 70 program will also feature premieres of films by Israel’s most acclaimed and internationally celebrated directors, including Samuel Maoz’s "Foxtrot," winner of eight Israeli Ophir Awards, the Grand Jury Prize at the Venice Film Festival, and Israel’s official entry for the Academy Award for Best Foreign Language Film; Eran Riklis’ highly anticipated thriller, "Shelter"; Dan Wolman’s passionate period drama, "An Israeli Love Story"; Savi Gabizon’s "Longing," winner of the Audience Award at the Venice Film Festival; and Nir Bergman’s touching drama, "Saving Neta." Other highlights include the award-winning forbidden love story, "The Cakemaker," the riveting drama "The Testament," the beloved comedy, "Maktub," one of Israel’s biggest box office hits of the year, and the feature film debut Scaffolding, winner of the Best Israeli Film Award at the Jerusalem Film Festival. ISMAEL'S GHOSTS, courtesy of Magnolia Pictures. As the Festival enters its new decade of growth, it is proud to launch its inaugural City to City program by shining the spotlight on filmmakers from Yerucham, Israel, Miami’s partnership community. This eclectic selection of films in the City to City program showcases a broad picture of rising talents, presenting new perspectives and creativity by this remarkable city’s next generation of filmmakers as they advance Israeli cinema and cultural arts. Other noteworthy films at this year’s Festival include Filmworker, the untold story of "Leon Vitali," who gave up fame and fortune to serve for decades as Stanley Kubrick’s right-hand man. The premiere will feature the attendance of Leon Vitali, who will participate in an extended conversation with the audience after the screening. The Festival will also premiere "Abe & Phil's Last Poker Game" featuring legendary Oscar-winning actor Martin Landau’s final onscreen performance; Arnaud Desplechin’s Ismael’s "Ghosts" starring Charlotte Gainsbourg and Marion Cotillard; Emily Ratajkowski’s new romantic period drama, "Cruise," directed by Robert D. Siegel (screenwriter of Darren Aronofsky’s "The Wrestler"); as well as three North American Premieres, including "The Hero," an original thriller written and directed by Oscar-nominated filmmaker Menno Meyjes (writer of "The Color Purple" and "Indiana Jones and the Last Crusade"), "Shalom Bollywood," which presents the unlikely story of Indian Jewish influence on the world’s largest film industry; and "Tevye’s Daughters," a startling new film adaptation of beloved Jewish writer Sholem Aleichem’s life-affirming story, which was previously adapted into the Oscar-winning film, "Fiddler on the Roof." KEEP THE CHANGE, courtesy of Kino Lorber. In a continued effort to expand its focus and to strengthen its support of emerging filmmakers, MJFF will host its third annual Short Film Competition, showcasing prestigious international short films, as well as many new discoveries. Presented in partnership with Film Movement, a renowned US Distributor, one winner will be selected to receive a distribution contract and a cash prize. Together, the Miami Jewish Film Festival and Film Movement seek to discover and develop independent artists, and to provide a platform for them to present their works to a global audience. MORE INFORMATION: Tickets for the Festival go on sale to the public on Monday, December 11 and sales continue throughout the Festival. 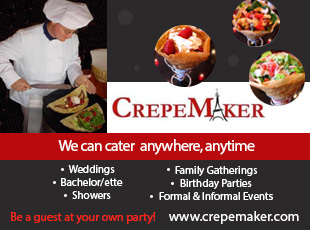 Patrons are encouraged to purchase tickets online. In addition to $13 single tickets, MJFF will offer full Festival passes for $275. More information is available at www.miamijewishfilmfestival.org and by calling 305-573-7304. Follow the Miami Jewish Film Festival on Facebook (/miamijewishfilmfestival) or Twitter (@MiamiJFF) for updates with the latest information about the Festival and attending filmmakers. Join the conversation using the hashtag #mjff20 on social media. The Miami Jewish Film Festival is a program of the Center for the Advancement of Jewish Education (CAJE), a subsidiary of the Greater Miami Jewish Federation. LET YOURSELF GO, courtesy of Menemsha Films. CITY TO CITY: YERUCHAM, North American Premiere .A special showcase shining the spotlight on emerging filmmakers from Yerucham, Israel, Miami's partnership community. DJANGO Florida Premiere | Directed by Étienne Comar France | 117 minutes | 2017 French with English subtitles A wondrous biopic of Django Reinhardt, a pioneer of European jazz and the father of Gypsy Swing music, who gave hope to the hopeless during the Nazi French occupation through his extraordinary musical genius. 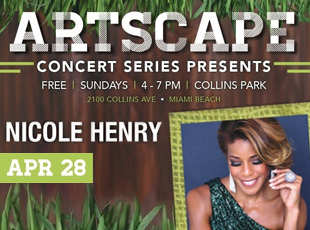 Featuring a special live performance by the French Horn Collective. FANTASTIC PLANET. Directed by René Laloux France-Czechoslovakia | 72 minutes | 1973 French with English subtitles. Nothing else has ever looked or felt like the animated marvel Fantastic Planet, a visually inventive work of science fiction that astonishingly reflects the horrors of the Holocaust, dictatorship, and conformity. GOOD DEEDS: THE CONDUCTOR ZUBIN MEHTA North American Premiere | Directed by Bettina Ehrhardt Germany | 89 minutes | 2017 Hebrew, German, Italian, English with English subtitles A dazzling celebration of legendary Israeli Philharmonic Orchestra conductor Zubin Mehta’s life, work, and ultimate belief in the power of music to heal and inspire. Featuring a special live performance by the Alhambra Quartet and an introduction by Conductor Daniel Andai. ITZHAK Florida Premiere | Directed by Alison Chernick USA | 80 minutes | 2017 English and Hebrew with English subtitles Itzhak presents the extraordinary story of the life and music of Itzhak Perlman, widely considered one of the world’s greatest living violinists. Featuring a special live performance by the Amernet String Quartet, ensemble-in-resident at FIU. MR & MRS ADELMAN, courtesy of Le Pacte. A secular young woman seeks refuge in Jerusalem from the pressures of her big city life as a concert pianist in this tense drama that builds into a Polanski-esque suspense thriller. SAMMY DAVIS, courtesy of Menemsha Films. AN ISRAELI LOVE STORY Florida Premiere | Directed by Dan Wolman Israel | 2017 | 96 minutes Hebrew with English subtitles A true love story set in the budding theater world of Tel Aviv and the kibbutzim about the passionate romance between Pnina Gary, an aspiring actress, and soldier Eli Ben-Zvi, as they are torn between their love for one another and the armed struggle for Jewish independence from the British. AND THEN SHE ARRIVED Florida Premiere | Directed by Roee Florentin Israel | 2017 | 104 minutes Hebrew with English subtitles Does love really conquer all? This whimsical comedy fused with modern romance is a testament to the enduring truth that love holds unending power. SHELTER, courtesy of Menemsha Films. 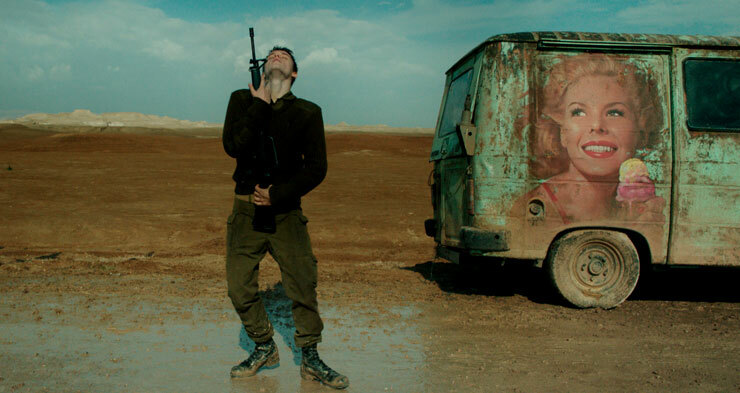 AZIMUTH East Coast Premiere | Directed by Mike Burstyn Israel | 2017 | 80 minutes Hebrew and Arabic with English subtitles A gripping psychological drama that packs plenty of action and excitement focusing on two wartime enemies trapped alone in the Sinai Desert during the Six Day War. BEN-GURION, EPILOGUE Florida Premiere | Directed by Yariv Mozer Israel | 70 minutes | 2017 Hebrew with English subtitles Winner of Israel’s Ophir Award for Best Documentary, Ben-Gurion, Epilogue is an invaluable historical document and cinematic treasure compiled from six hours of newly discovered conversations with Israel’s founding father and one of the most important statesmen of the 20th century. THE CAKEMAKER Florida Premiere | Directed by Ofir Raul Graizer Israel-Germany | 104 minutes | 2017 Hebrew and German with English subtitles With a palette and plot reminiscent of Pedro Almodovar, this forbidden love story takes a wholly unexpected but richly rewarding turn of the heart when a dead man’s lover seeks out his widow in order to help her recover and mend her emotional wounds. Winner of the Jewish Experience Award at the Jerusalem Film Festival and the Jury Award at the Karlovy Vary Film Festival. THE ESSENTIAL LINK Florida Premiere | Directed by Yonatan Nir Israel | 84 minutes | 2017 Hebrew with English subtitles Unraveling the elusive mystery behind the Jewish businessman, art collector, and forgotten hero Wilfrid Israel, who saved the lives of 10,000 Jews, played an integral role in the Kindertransport, and worked in partnership with British intelligence in WWII. FOXTROT Florida Premiere | Directed by Samuel Maoz Israel, Germany, France, Switzerland | 114 minutes | 2017 Hebrew, Arabic, German with English subtitles Winner of eight Israeli Ophir Awards including Best Film and Best Director, the Grand Jury Prize at the Venice Film Festival, and Israel's official entry for the Academy Awards, this critically-acclaimed film portrays grief and soldiering as a surreal, inescapable dance with destiny. 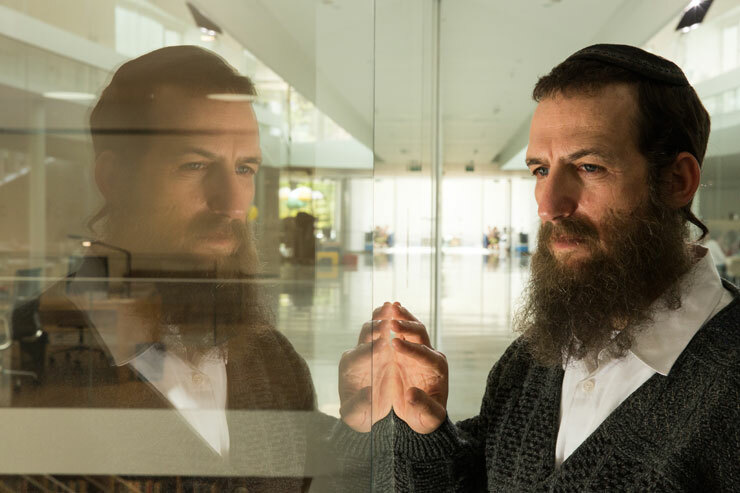 Winner of the Venice Film Festival Audience Award and nominated for 13 Israeli Ophir Awards, acclaimed Israeli director SaviGabizon’s affecting drama centers on a middle-aged Israeli bachelor who is forced to evaluate his life choices when he discovers an ex-girlfriend had given birth to his son 20 years before. MAKTUB East Coast Premiere | Directed by Oded Raz Israel | 100 minutes | 2017 Hebrew with English subtitles Guy Amir and Hanan Savyon, the acclaimed writers and stars behind many Israeli TV mega-hits, play partners in crime in this hilarious, politically incorrect caper that is also one of Israel's biggest box office hits of the year. ABE & PHIL'S LAST POKER GAME, courtesy of Gravitas Ventures. SHELTER South Florida Premiere | Directed by Eran Riklis Israel | 93 minutes | 2017 Hebrew, Arabic, English with English subtitles Lemon Tree meets John Le Carre in internationally acclaimed Israeli director Eran Riklis’ gripping psychological thriller that centers on an Israeli Mossad agent who must protect a Lebanese woman from terrorists by sheltering her in a safe house. THE TESTAMENT Florida Premiere | Directed by Amichai Greenberg Israel | 96 minutes | 2017 Hebrew and German with English subtitles In this riveting drama, a Jewish historian is willing to risk his career, his religious beliefs, and his identity to discover the truth of the Holocaust atrocity he is investigating. WHEN THE SMOKE CLEARS Florida Premiere | Directed by Rebecca Shore Israel-USA | 90 minutes | 2018 Hebrew with English subtitles The inspiring account of young Israeli soldiers who experience the unthinkable in battle, but find ways to heal, grow, and transform their lives through friendship and giving to others. THE LAST RESORT, courtesy of the Andy Sweet Photo Legacy. BOMBSHELL! THE HEDY LAMARR STORY Florida Premiere | Directed by Alexandra Dean USA | 86 minutes | 2017 The story of one of Hollywood’s iconic Jewish starlet’s, screen sirens, and “most beautiful woman in the world” who also was an unknown inventor and brilliant mind. Featuring interviews with Mel Brooks, Peter Bogdanovich, Diane Kruger, Robert Osborne, and Miami’s own Michael Tilson Thomas. KING COHEN Florida Premiere | Steve Mitchell USA | 110 minutes | 2017 Buckle up for the true story of Larry Cohen, the legendary maverick filmmaker known as “the John Cassevetes of exploitation cinema” and beloved by Martin Scorsese, J.J. Abrams, and John Landis. 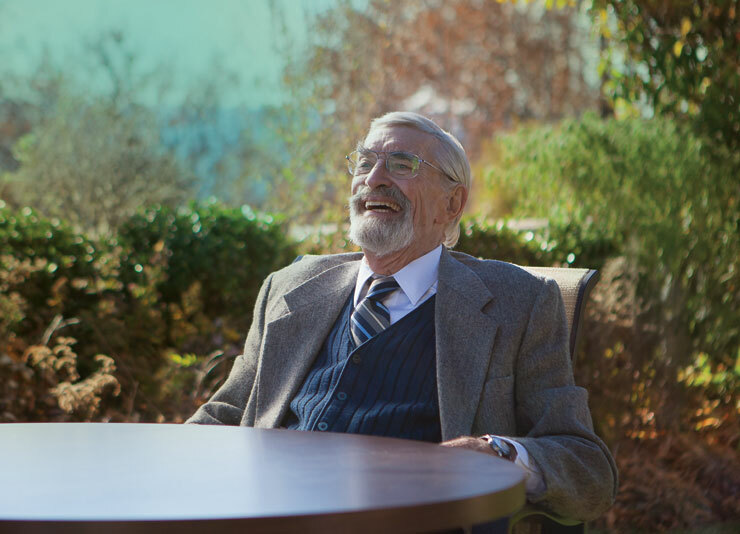 ABE & PHIL'S LAST POKER GAME Florida Premiere | Directed by Howard L. Weiner USA | 85 minutes | 2017 Starring legendary Oscar-winning actor Martin Landau in his final onscreen performance, this is a touching story about discovering that age is not a barrier to finding new love and friendship. THE LAST RESORTWorld Premiere | Directed by Kareem Tabsch, Joey Daoud, and Dennis Scholl USA | 60 minutes | 2018 An uncannily revealing portrait of American photographer Andy Sweet and the vibrant community of Jewish retirees he obsessively focused his camera’s lens on in the sunburned paradise of 1970s Miami Beach. MORITZ OPPENHEIM: THE FIRST JEWISH PAINTER North American Premiere | Directed by Isabel Gathof Germany-France-Israel | 71 minutes | 2017 German with English subtitles For the first time ever, the life of Moritz Daniel Oppenheim is explored, considered to be “the first Jewish painter” and a master at depicting traditional Jewish life. UNA HISTORIA DE AMOR Florida Premiere | Directed by Alejandro Magnone Argentina | 98 minutes | 2016 Spanish with English subtitles In this deeply felt, gently humorous, and dreamlike Argentine melodrama, an aging chess player yearns to reconnect with long-lost lovers from his youth, with help from an eccentric circle of caring friends and neighbors. WINTER HUNT Florida Premiere | Directed by Astrid Schult Germany | 2017 | 74 minutes German with English subtitles A potent psychological thriller about a young woman who embarks on a dangerous pursuit for an ex-Nazi whom she is convinced is quietly hiding in a small German town in order to expose him at any cost. 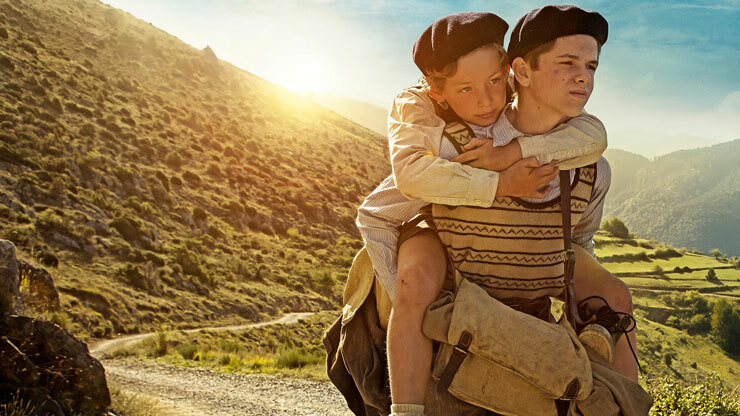 A BAG OF MARBLES Florida Premiere | Directed by Christian Duguay France | 2017 | 110 minutes French with English subtitles Winner of the Audience Special Prize at COLCOA, A Bag of Marbles follows two young brothers fleeing Nazi-occupied France in this heart-rending, true story of exceptional bravery and survival against all odds. In this harrowing documentary about the power of the human spirit, Miami holocaust survivor David Schaecter tells his personal story of witnessing the horrific rise of Nazism, his dramatic escape from Auschwitz, and his lifelong dedication to remembering those who were lost. THE TESTAMENT, courtesy of Menemsha Films. Winner of a record 12 Czech Lion Awards, this remarkable true story centers on Czech hero Jan Masaryk’s battle with the politics of appeasement that catapulted Europe into WWII at its darkest hour. ACROSS THE WATERS South Florida Premiere | Directed by Nicolo Donato Denmark | 2017 | 95 minutes Danish with English subtitles Unsure of whom they can trust, a Jewish musician and his family make a desperate escape from Nazi-occupied Denmark in this gripping story of survival set during one of the most daring rescue missions in WWII history. AN ACT OF DEFIANCE Florida Premiere | Directed by Jean van de Velde South Africa-Netherlands | 2017 | 124 minutes English and Afrikaans with English subtitles A riveting historical drama that captures a seminal moment in the fight against racism and shines a light on the courageous South African Jews who risked their lives consigning Apartheid to history. BYE BYE GERMANY Florida Premiere | Directed by Sam Garbarski Germany | 102 minutes | 2017 German with English subtitles Heartwarming, colorful, and utterly humorous, Bye Bye Germany is a one-of-a-kind post-warcomedy about Jewish survivors who stayed in Germany after WWII and tried to rebuild their lives. CRUISE Directed by Robert D. Siegel USA | 90 minutes | 2017 An affectionate look at the youth culture of a bygone era starring Emily Ratajkowski (Gone Girl) as a Jewish girl from Long Island who falls for a boy on the wrong side of the tracks. CUBA’S FORGOTTEN JEWELS Directed by Judy Kreith& Robin Truesdale USA | 2017 A captivating documentary that explores the little-known story of the Jewish refugees who escaped Nazi-occupied Europe and found a safe haven on the Caribbean island of Cuba. FILMWORKER Florida Premiere | Directed Tony Zierra USA | 94 minutes | 2017 Through a treasure trove of interviews with Ryan O’Neal, Matthew Modine, and many other notable collaborators, this is the remarkable, untold story of Leon Vitali, who gave up fame and fortune to serve for decades as Stanley Kubrick’s right-hand man. GI JEWS: JEWISH AMERICANS IN WWII World Premiere | Directed by Lisa Ades US | 84 minutes | 2017 Produced by Nancy Spielberg (Above & Beyond) and featuring interviews with Mel Brooks, Carl Reiner, Henry Kissinger, and narration by Jeffrey Tambor (Transparent), this the first documentary of its kind to tell the profound and unique story of the 550,000 Jewish men and women who served in World War II. THE HERO North American Premiere | Directed by Menno Meyjes Netherlands | 95 minutes | 2017 Dutch with English subtitles In this tense thriller from the writer of The Color Purple and Indiana Jones and the Last Crusade, a woman suddenly finds herself involved in a series of violent anti-Semitic attacks and realizes she must unravel her father’s secret past in order to confront this sinister threat. THE INVISIBLES Florida Premiere | Directed by Claus Räfle German | 110 minutes | 2017 German with English subtitles A remarkably harrowing documentary, unlike any other before it, that sheds light on Jewish citizens who lived in hiding even after the Nazis declared Berlin “free of Jews” in 1943. ISMAEL’S GHOSTS Florida Premiere | Directed by Arnaud Desplechin France | 132 minutes | 2017 French with English subtitles A freewheeling portrait of a neurotic filmmaker (Mathieu Amalric) who gets an unexpected visit from his long-dead lover (Academy Award-winner Marion Cotillard), which not only drives away his current relationship (Charlotte Gainsbourg), but soon begins driving him mad. 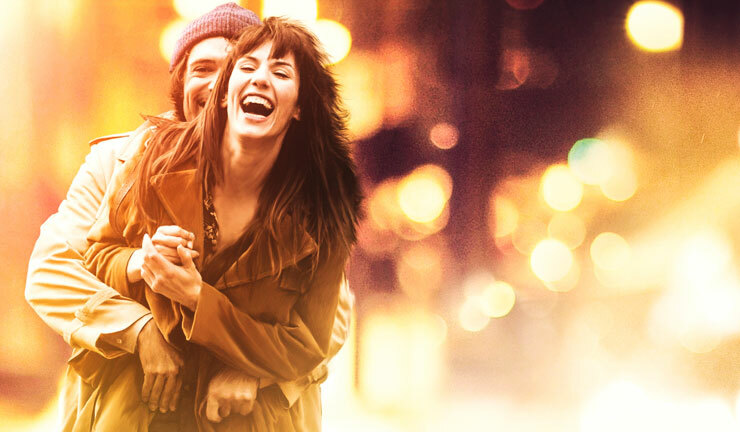 KEEP THE CHANGE Florida Premiere | Directed by Rachel Israel USA | 94 minutes | 2017 Cross New York City with the goal of finding true love as a young person and you have the makings of this unbelievably heart affecting and groundbreaking romantic comedy. LET YOURSELF GO Florida Premiere | Directed by Francesco Amato Italy | 98 minutes | 2017 Italian with English subtitles Winner of the Italian Golden Globe for Best Comedy, this crowd-pleasing screwball comedy stars Tony Servillo (Academy Award-winning The Great Beauty) as an uptight psychoanalyst whose life is upended when he becomes involved with an effervescent personal trainer. THE LIGHT OF HOPE Florida Premiere | Directed by Silvia Quer Spain | 120 minutes | 2017 Spanish, Catalan, French with English subtitles The powerfully moving true story of Elisabeth Eidenbenz, founder of the Mothers of Elne, who saved the lives of more than 200 Jewish mothers and children during the Second World War. MR. AND MRS ADELMAN Florida Premiere | Directed by Nicolas Bedos France | 120 minutes | 2017 French with English subtitles Winner of the Audience Award at the Hamptons Film Festival and COLCOA, this romantic tale chronicling half a century of passions, ambitions, victories, secrets, and betrayals of a madly-in-love French married couple. REMEMBER BAGHDAD Florida Premiere | Fiona Murphy Iraq-Israel-UK | 69 minutes | 2017 This extraordinary film tells the dramatic story of the changing fortunes of Iraqi Jews over the last century as we follow one of the exiles on a remarkable journey home, back to Baghdad! SHALOM BOLLYWOOD North American Premiere | Directed by Danny Ben-Moshe Australia | 80 minutes | 2017 An all-singing, all-dancing celebration of the world’s largest film industry reveals the unlikely story of the 2,000-year-old Indian Jewish community and its remarkable stars who shapedBollywood cinema’s Golden Age. TEVYE’S DAUGHTERS North American Premiere | Directed by Vladimir Lert Ukraine | 120 minutes | 2017 Russian with English subtitles A new film adaption of beloved Jewish writer Sholem Aleichem tells the life-affirming story of Tevye, a poor milkman whose love, pride, and faith help him face the challenges of czarist Russia and marrying off his five daughters. A LOVE LETTER TO THE ONE I MADE UP North American Premiere | Directed by Rachel Gutgarts Israel | 6 minutes | 2017 Hebrew with English subtitles A story about love and solitude intertwined with an underwater fantasy world BOTTOMLESS North American Premiere | Directed by RodedYizhaky& Doron Dahan Israel | 8 minutes | 2017 A creatively offbeat and daring animated film confronting environmental issues. DAD’S KITE North American Premiere | Directed by Daniella Schnitzer & Omer Sharon Israel | 5 minutes | 2017 Hebrew with English subtitles A touching animated film about family, togetherness, and the tragedy of loss. JUSTIFICATION Florida Premiere | Directed by Tom Shoval Israel | 20 minutes | 2017 Hebrew with English subtitles A young Tel Avivian has a strange encounter that leads her on a mysterious voyage in search of the truth. LIFE THROUGH A LENS Florida Premiere | Directed by Jeffrey &Ronete Levenson US | 11 minutes | 2017 The story of Hollywood photographer, Robert Zuckerman, whose “life through a lens” gets turned upside down after he is diagnosed with APBD. NIGGUN North American Premiere | Directed by Yoni Salmon Israel | 12 minutes | 2017 Hebrew with English subtitles Two believers on a long space journey are out to prove Earth is not a myth and that all mankind originated on it. SHEHITA: A YIDDISH HORROR STORY Florida Premiere | Directed by Dean Gold Canada | 25 minutes | 2017 Yiddish with English subtitles A strange phenomenon on a farm in Quebec threatens to destabilize the foundations of the local community. STRINGS US Premiere | Directed by Erin Morris UK | 3 minutes| 2017 A 2D animated film inspired by the work of Amnon Weinstein, who finds and restores violins from the Holocaust so they can be played as a symbol of hope. THE SCRIBE US Premiere | Directed by Leon Spanier Israel | 10 minutes | 2017 A short documentary about Kalman Delmoor, an American born scribe, who sits in the Old City of Jerusalem at the Four Sephardic Synagogue.